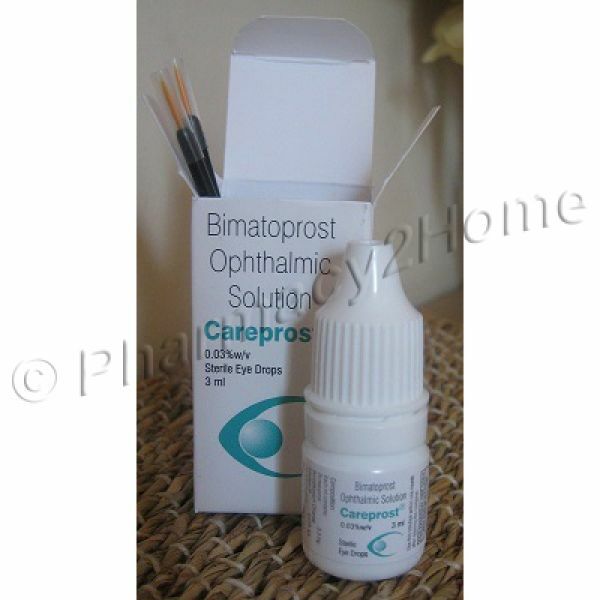 Careprost Eye Drops are used to medicate diseases called hypotrichosis and glaucoma. During the disease of hypotrichosis the patient has to go through the shorter and abnormal growth of eyelashes. Therefore Careprost is suggested to change the growth pattern into thick and long. In glaucoma, it sets into action to aid the normalizing of eye pressure through maintaining aqueous humor. The sufferer has to bear the gradual loss of eye-sight if glaucoma is not medicated on right time. Careprost belongs to a naturally occurring chemical called prostamide. When the balance of the aqueous humor in the eye is disturbed it works to reduce the tonographic resistance so that the fluid drainage blockage is eased and eye pressure becomes normal. The one suffering from glaucoma must release 0.03% of Careprost into eye attentively. Lenses must be dislodged if donned before dropping. The one suffering from less growth of eyelashes must carefully brush the lashes with 300mcg/ml of Careprost solution. Follow the dosing schedule as prescribed by the doctor. 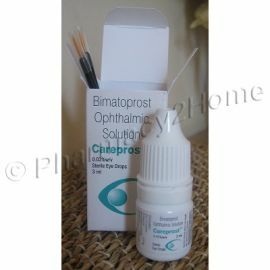 For the ones prescribed for eyelash growth, 300mcg/ml of Careprost eye drop has to be swiped on the lashes every night. For the ones diagnosed with Glaucoma, a 0.03% drop once a night. No such serious effects of overdose appear. On conditions that overdose is suspected the sufferer must seek a doctor’s advice. If by mistake a dose is missed, take it at once. Do not take the missed dose if the time for the next dose is near. The use of this drug is not accepted risk-free during pregnancy, however when no other drug works, then it might be prescribed with strict precautions. It is not established as non-risky in breastfeeding. Medical history has to be dispensed with the physician. Be vigilant in performing job and tasks which seek attention, such as driving. The dosage must be followed as suggested by the doctor. Do not discontinue the usage without consulting your physician. In cases of glaucoma the usage might last for several years. HOW TO LOOK AFTER THE DRUG?